The boys middle school basketball B team had a good showing today. Ben Lawson got the boys going when he scored off of the tip ball. Dudley Samponaro had a clutch free-throw to stabilize the team moral going into the first half. Alex Lehouiller and Nate Lee ran point well and each had steals. Biagio DeCenso also had a steal and was tough underneath the boards. Even though the end result was a loss it was a gracious one. 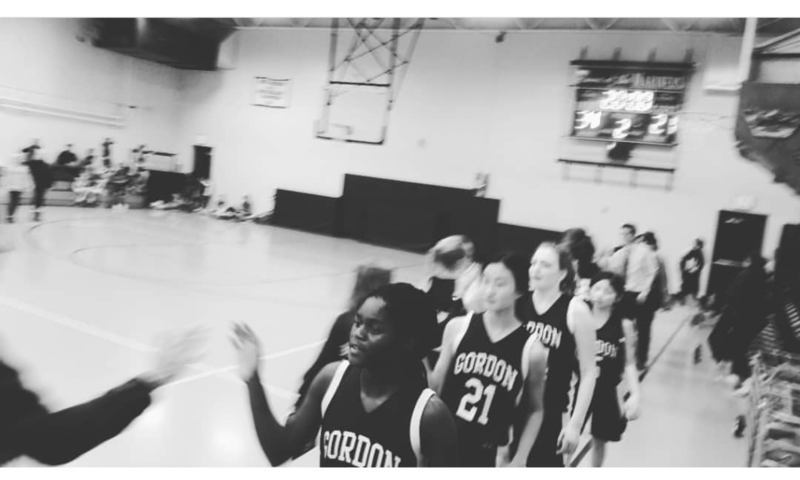 The Girl’s A Team won the season opener by a score of 34 to 21 against Gordon. RHS had the lead by one point at halftime. Leading scorers were Kaeley Zito with a career high of 16 points and 11 steals, Lily Kerachsky with 10 points, and Charlotte Boss added 7 rebounds and 4 assists. JV boys continued the pre-winter break portion of their young season with a hard fought lost to a much bigger St. Thomas More squad. Freshman Dante Garcia, Graham E and Dylan Lehouiller lead a balanced attack that again fought especially hard in the second half. Being outweighed by 40 pounds a man, the team refused to be intimidated and proved to themselves that they can compete at this level. 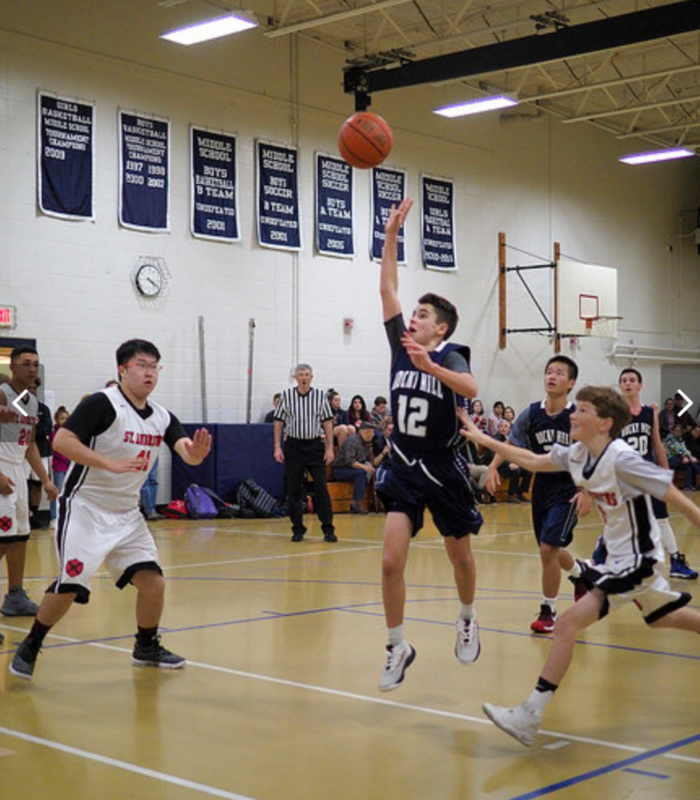 The JV boys began their new season at home versus St. Andrew’s School from Barrington. After getting off to a slow start against a bigger deeper and somewhat more talented team, the Mariners finally got it together and made a strong second half run to get within 4 points. Unfortunately St. Andrew’s depth and strength became a real factor and allowed them to pull away in the final minutes of the contest. 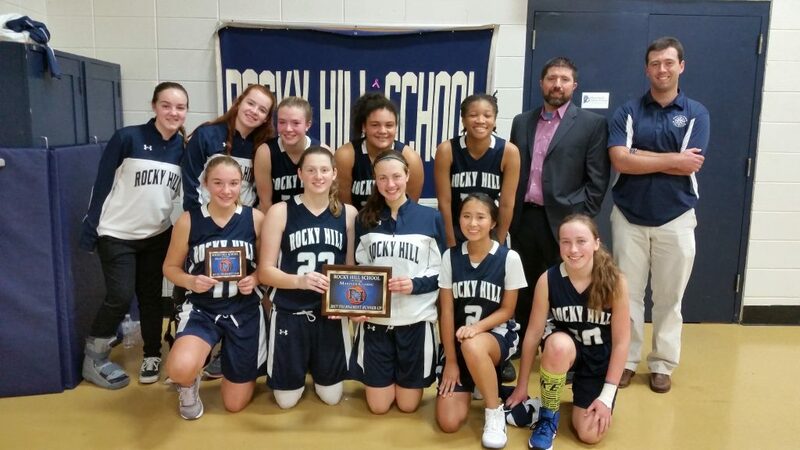 Rocky Hill play with real heart and desire, and showed some real improvement over the course of the game. Freshman Graham Eilberg and Dante Garcia were high scorers. 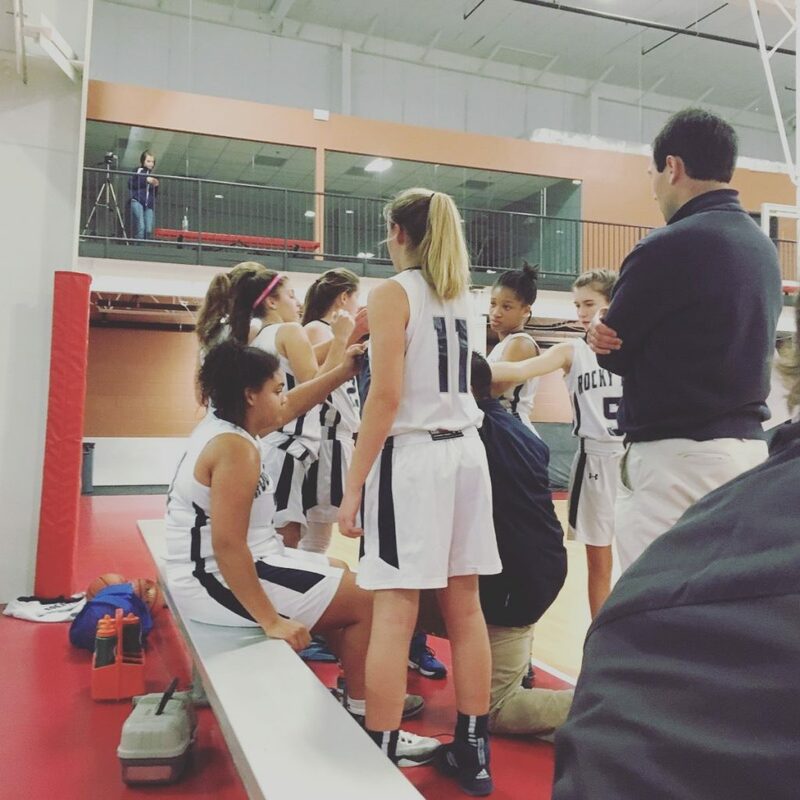 Danvers, MA – The Rocky Hill Girls Basketball program came up short against NEPSAC foe Covenant Christian, 35-20. The Lady Mariners trailed throughout the game but never more than 6 points in the first half as Ptolemy Tassone (FR – Exeter, RI) and Andrea White (SR – West Warwick, RI) and Kaitlyn Conforti (SR – Warwick, RI) all chipped in on the offensive end. In addition, Aviva Beringhouse (JR – Providence, RI) and Jordan Lanowy (FR – Newport, RI) worked hard on the defensive end to keep the Covenant lead to just five at the half (19-14). 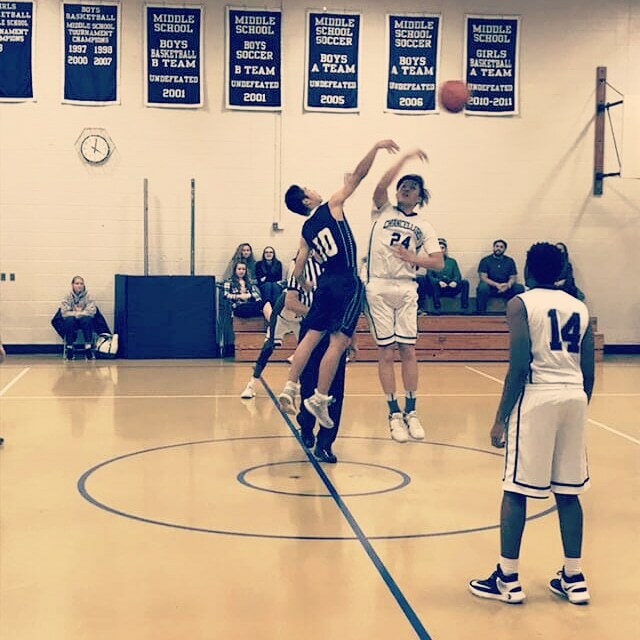 However, Rocky Hill could only muster 6 second half points despite several opportunities, dropping its record to 1-3 (0-2 NEPSAC) on the season. White led RHS with 9 points including two 3pt field goals. Rocky Hill put on an exciting game this Friday night at home with 3 players cracking 20+ points in the 99-69 won over Saint Thomas More. Hayes led the charge with 30 points followed by Tedrick Wilcox, 26 points and Lora added 24 while making six 3-pointers. Kobe Polley broke out as well adding 13 and some much needed defensive energy. Great win all around. In the regular season home opener, despite a slow start, the Mariners gave a brief glimpse into the level they can hit when clicking on all cylinders in the second half. 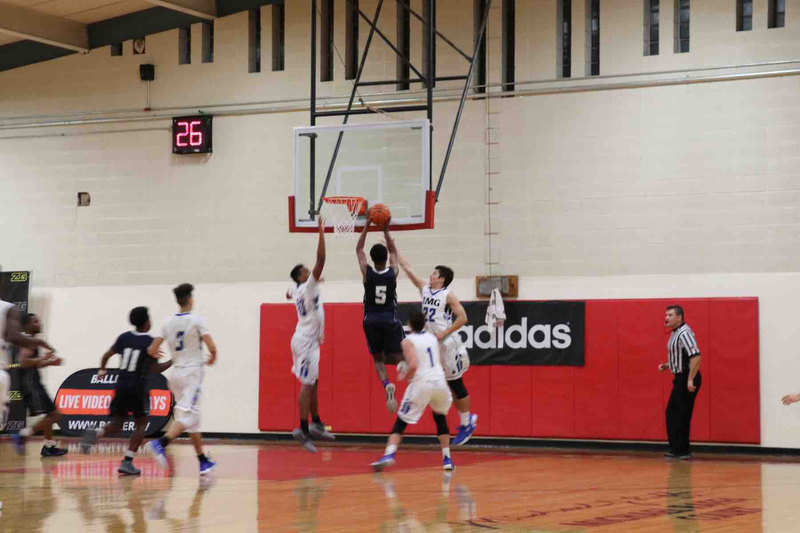 Tedrick Wilcox and Steven Lora both contributed 18 points in the 51-42 victory over St Andrews School. The Lady Mariners (1-2, 0-1) dropped their first NEPSAC game of the season at The Williams School (New London, CT) by a 40-19 margin. Rocky Hill took a 2-0 lead off of a Andrea White (SR – West Warwick, RI) layup on its first possession of the game, but then found themselves down by a score of 12-2. Scrappy play from Aviva Beringhouse (JR – Providence, RI) and Grace Starosciak (FR – Coventry, RI) and more scoring from White kept the game close at the half with Williams leading 16-12. However, the Lady Mariners could only muster 7 second half points and although the game was just a seven point deficit, with under six minutes to go, Williams made some crucial late field goals in the midst of a 16-2 run to put the game out of reach. White led all scorers with 14 points while Beringhouse notched her first field goal of the young season. In an exciting Matchup vs. IMG HS the Rocky Hill Mariners showed their skills from start to finish. Steven Lora led the way with 23 points 6R and took 5 charges. JayJuan Hayes 14 points 6R 6A and 5 steals were a huge push. Tedrick Wilcox put up a double double pouring in 21 points 12R 4A and 4 steals despite having a tough day at the stripe shooting only 8/15. 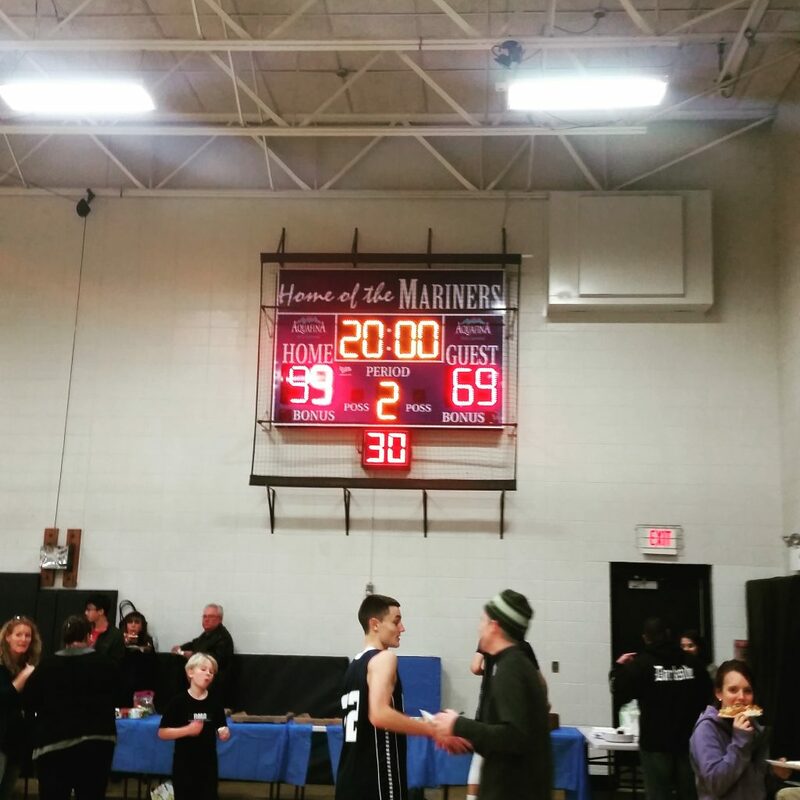 Leading the mariners to a 69-55 win. 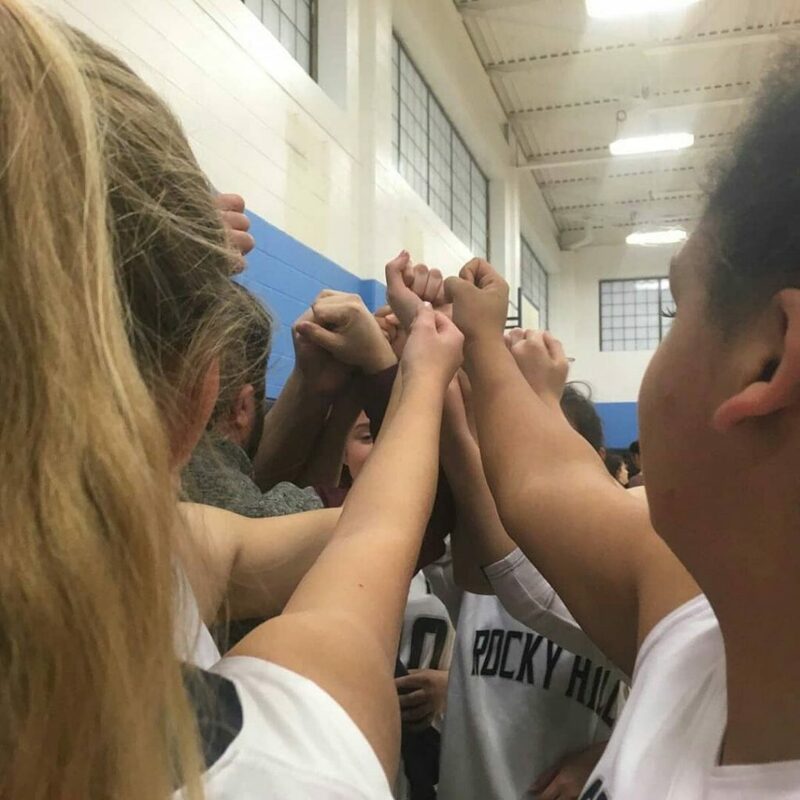 The Rocky Hill School Girls Varsity Basketball team started its season off on a high note earning a 24-19 victory. RHS took an early 2-0 lead on a Ptolemy Tassone (JR. – Exeter, RI) 8 ft jump shot a few minutes in but found itself down 5-2 soon thereafter. The Mariners then went on a 12-0 run, fueled by a pair of Jordan Lanowy (FR – Newport, RI) three point field goals. 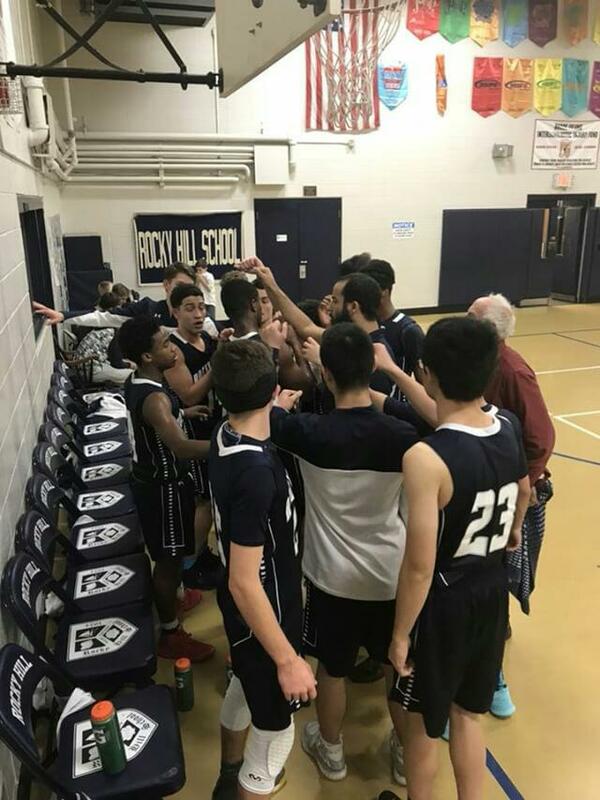 The Mariners found themselves up 15-8 at the half and withstood a late Fisher Island rally to earn their first win of the fledgling season and advanced to the 1st Annual Mariner Classic Tournament Championship game. Senior Andrea White led all scorers with 9 points (all second half) and Lanowy chipped in with 8 points. The Lady Mariners never led in their 39-14 defeat at the hands of eventual champion Capital Harbor Prep Harbor Sharks. The Harbor Sharks struck early and often as they ran out to a quick 10-0 lead. RHS could only muster 6 points in the first half. Despite the score, the Lady Mariners continued to improve in all facets of the game, as they got to the charity stripe and put forth a great effort on the defensive end allowing only 12 second half points. For her efforts, freshman Jordan Lanowy was named to the all-tournament team. Lanowy averaged 6 ppg for the tournament.